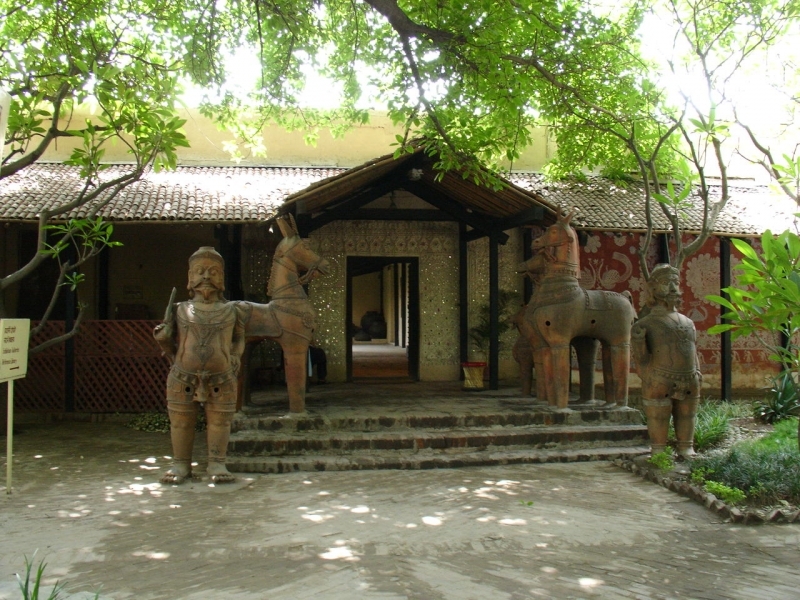 The Crafts Museum is situated in Pragati Maidan on Bhairon Road in New Delhi. Its official name is National Handicrafts and Handlooms Museum. The museum has a captivating collection of exhibits, including an artisan’s wooden house, 200-year-old life-size Bhuta figures from Karnataka and Charrake bowls from Kerala. It holds more than 35,000 artefacts in separate galleries. Live shows by craftsmen are often held at the museum. The museum is also home to a village compound spread over 5 acre. The complex has 15 structures showing village houses, courtyards and shrines from different states of India, and also items of daily life. Ink drawings on parchment, handmade Himalayan shawls, mirrored fabrics are among the souvenirs that can be purchased here. It is open between 9.30 am and 6 pm, except from July to September when it closes at 5 pm. The museum remains closed on Mondays and National Holidays. Been to Crafts Museum ? Share your experiences!